A bunch of economists and a blogger are trying to dissect the riddle of why metropolitan population density has fallen in the United States. Robert Shiller (yes, that Robert Shiller) seems to have unknowingly kicked off the whole thing when he wrote an essay a few weeks ago in which he said housing prices have actually been pretty stable when you adjust for inflation. Bill McBride took issue with that, essentially saying that because land is scarce in cities, the value of the land (and the homes on it) should go up. Noah Smith didn’t quite agree with McBride, arguing that changes in transportation cost—everything from automobiles to telepresence—will counter the effects of population density over time, which is why house prices should remain flat. Paul Krugman jumped in and sided with Smith, mostly, citing the issue of declining metro population density across the United States. Then Felix Salmon, the blogger, entered the picture. He wrote a post a few days ago laying out his solution to the riddle of why metro population density is declining. Rich people, he says, are moving to the city in larger numbers, and because they can afford more space, urban population densities are either holding steady or falling. That’s been pushing less wealthy people out to the suburbs and beyond. I’m skeptical that’s the real reason. Most of the previous decade’s growth in the U.S. happened in the exurbs, those far flung outposts on the fringes of metro areas. There, populations rose by about 5 percent, much higher than the zero to 2 percent elsewhere throughout metro areas, including low-density but closer-in suburbs. People forgoing suburbs for the exurbs—that’s a nuance of the statistic that makes me question Salmon. If people are being driven out of the city because of high rents, then the suburbs should be growing swiftly, too. But they’re not—at least not as much as the exurbs. Rather than reacting to what the rich are doing in the city, I think it’s more the result of how most of the rest of us would like to live. The exurbs are closer, by many measures, to the small town American ideal than the city or even the suburbs. Exurbs have single-family homes, big lots, wide streets, and a nearby countryside. The city doesn’t have that, and many suburbs don’t anymore, either—as cities swell, they’re becoming indistinguishable from the city. The exurbs are the new suburbs. Krugman tries to drive home his point, saying, “the average American lives in a quite densely populated neighborhood, with more than 5000 people per square mile.” As such, he says, “real” America isn’t a small town, but rather something like metropolitan Baltimore. By pure statistics, he’s right. But that doesn’t necessarily mean the U.S. is a country trending toward Baltimore. A statistical snapshot can’t outweigh decades of cultural legacy. Most Americans may live like Baltimoreans, but do they want to? Our cultural tendencies suggest we don’t. As long as the American ideal is to live in a small town—which to many people¹ means big yards, small downtowns, and concomitant low population densities—then that’s where we’re heading as a nation. 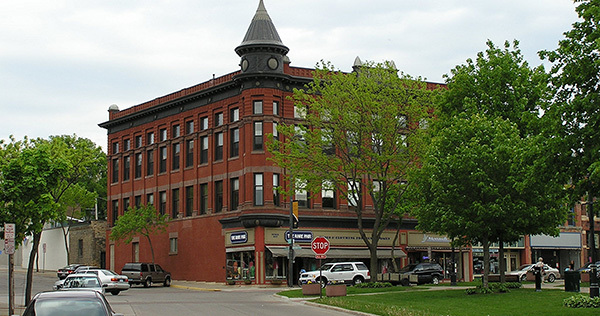 If cities are to succeed, maybe they need to look to small towns for inspiration. Not the low densities—it wouldn’t be much of a city, then—but the more abstract qualities that draw people to them.